The purpose of this text is to create a tangible warning from documenting relationships of available information and poorly understood phenomena being used to unconsciously influence unaware hypnotic subjects. Another purpose is to bring attention to the great potential for treatment of the total subconscious condition created as indicated by Huse's experiments demonstrating that "meaningful material" showed hypermnesia advantage. The advantage being used for curative, unconscious treatments with hypnosis. 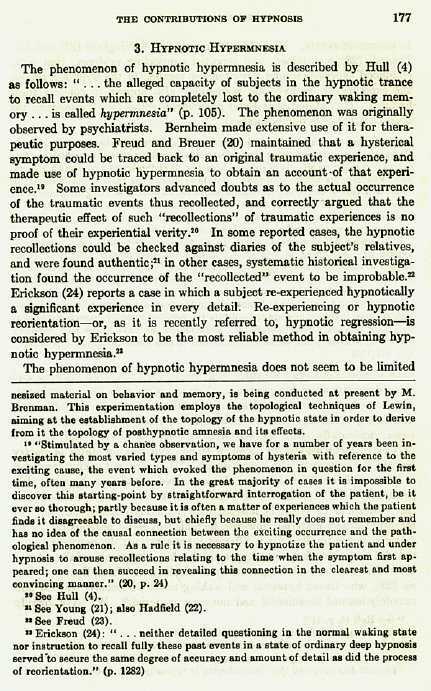 NOTE: Hyperamnesia is forgetting the hypnosis and hypermnesia is remembering the hypnosis.